MAXX-ON sound columns are heavy duty & offer clear sound quality for public address applications. live concerts, musical instruments, theaters, etc. All Speakers column can be made as per given wattage / specifications. 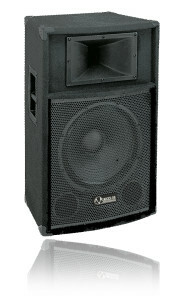 Professional Two way Speaker System with high efficiency, long throw & clean undistorted sound for both speech & music. It consists of one 15″ Full Range Dual Cone Speaker and a Piezo Horn Tweeter. 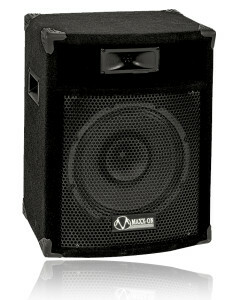 The system is housed in an acoustically treated Bass Reflex Trapezoidal enclosure made of 18mm board and carpet covered. 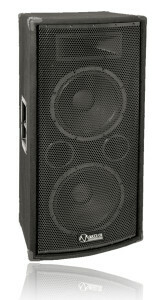 Outstanding professional 2-Way PA Speaker system with 1000 Watts continuous power handling capacity. Two high power 15” LF loudspeakers and a high frequency titanium compression horn driver give very well defined, prominent lows and brilliant highs. Acoustically treated bass reflex trapezoidal carpet covered cabinet with a strong steel grill ensures protection and durability. Heavy duty metal handles allow ease of mobility and transportation. 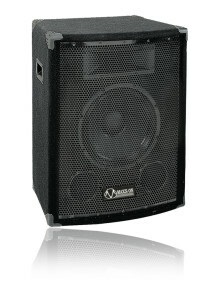 Ideal for use with high powered amplifiers for large gatherings. 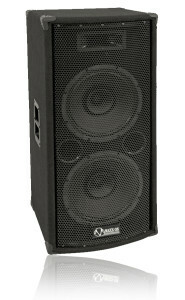 ATR introduces a 700 Watts Professional 2-Way PA Speaker System with Excellent LF Response, Exceptional Efficiency, Long Throw and Unmatched Intelligibility of Sound. Two 15” High Performance LF Loudspeakers and a High Frequency Titanium Compression Horn Driver housed in an acoustically treated Bass Reflex Trapezoidal carpet covered enclosure. Strong steel grill for speaker protection. Heavy duty metal handles to allow ease of mobility and transportation. This 2-Way speaker system combines professional components of superior quality in a proper balanced integrated design, to deliver the fidelity of sound and the coverage demanded in sound reinforcement, outdoor PA and live music applications. The SPX-400 has been built around the development of an exceptional HF compression driver containing a Titanium diaphragm. It also utilizes a high efficiency, high SPL 15” LF speaker in order to deliver tight and deep bass. It has a built in 2kHz Crossover Network with PTC protection for the HF unit. 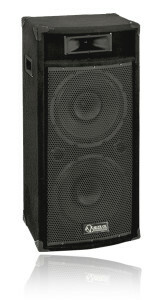 The system is housed in a Rugged Bass Reflex Trapezoidal Enclosure made of 18mm board, and Carpet covered with a Stand Mount Adapter at the bottom. The cabinet has been fitted with heavy duty handles to allow ease of transportation. Two 12” High Performance LF Loudspeakers and a High Frequency Compression Horn Driver housed in an acoustically treated Bass Reflex Trapezoidal carpet covered enclosure. 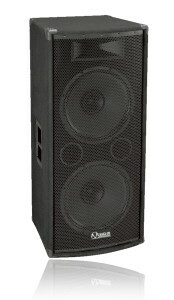 Professional Two way Speaker System with high efficiency, long throw & clean undistorted sound for both speech & music. It consists of one 15" Full Range Dual Cone Speaker and a Piezo Horn Tweeter. 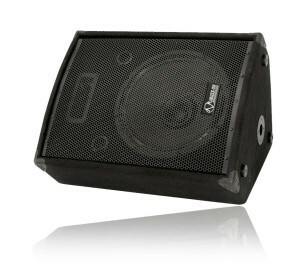 The system is housed in an acoustically treated Bass Reflex Trapezoidal enclosure made of 18mm board and carpet covered. High Frequency Unit 1 × Piezo Horn Tweeter 3" × 6"
One 12” High Performance LF Speaker and a High Frequency Compression Driver housed in an acoustically treated Bass Reflex Trapezoidal carpet covered enclosure. Compact 2-Way Floor Monitor speaker system comprising of a single 12” Full Range Dual Cone Speaker and a Piezo Horn Tweeter. The system is outstanding for its ability to handle 100W continuous power with undistorted response and is ideal for small PA applications. The speakers are housed in a Rugged Closed Box Enclosure made of 18mm board and carpet covered. 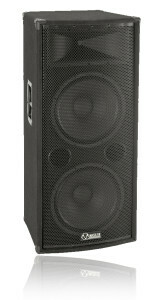 A compact general purpose speaker column using two Full Range Dual Cone 8” speakers, reproducing a clean undistorted sound for both speech and music. The system is housed in a Rugged Closed Box Enclosure made of 12mm medium density fibre board, and has a durable black shock resistant paint finish. The system combines two 12" Full Range Dual Cone speakers and a Piezo Horn Tweeter. It delivers the fidelity of sound and the column effect for sound coverage demanded in sound reinforcement and PA applications. 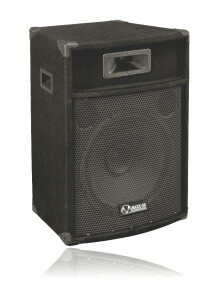 The system is housed in a Rugged Bass Reflex Enclosure made of 18mm board and carpet covered.